As the holiday is coming up, have you started to think about decoration ideas for your home? Here is a super easy, fun and inexpensive way to make a Christmas wreath. With a few simple steps and basic materials, you can make this beautiful Christmas wreath to decorate your doors this holiday season. Happy crafting! Ornaments: decorative fruits, artificial flowers and leaves, pine cones, etc. 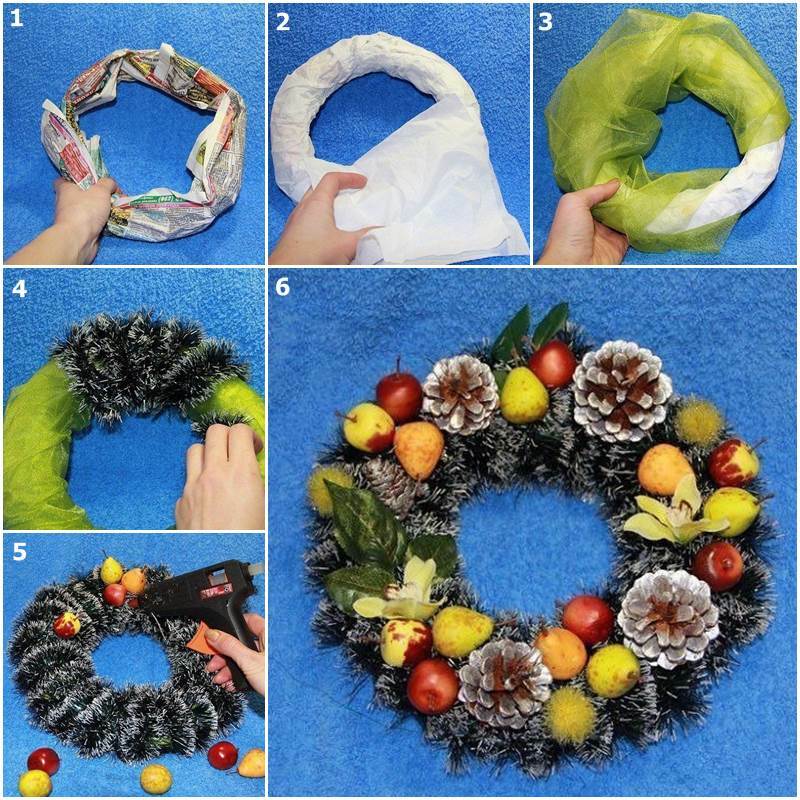 Take some old newspaper, roll it and twist it to form the base of a wreath. Wrap the wreath with white crepe paper until the entire wreath is covered. Wrap the wreath with green tulle until the entire wreath is covered. Wrap green tinsel around the wreath until the entire wreath is covered. Secure it with glue. Glue all kinds of ornament to the wreath. When the glue is completely dry, this beautiful Christmas wreath is ready to be hung on the door. Enjoy!